HHL Gift Guide 2017: 19 Things! 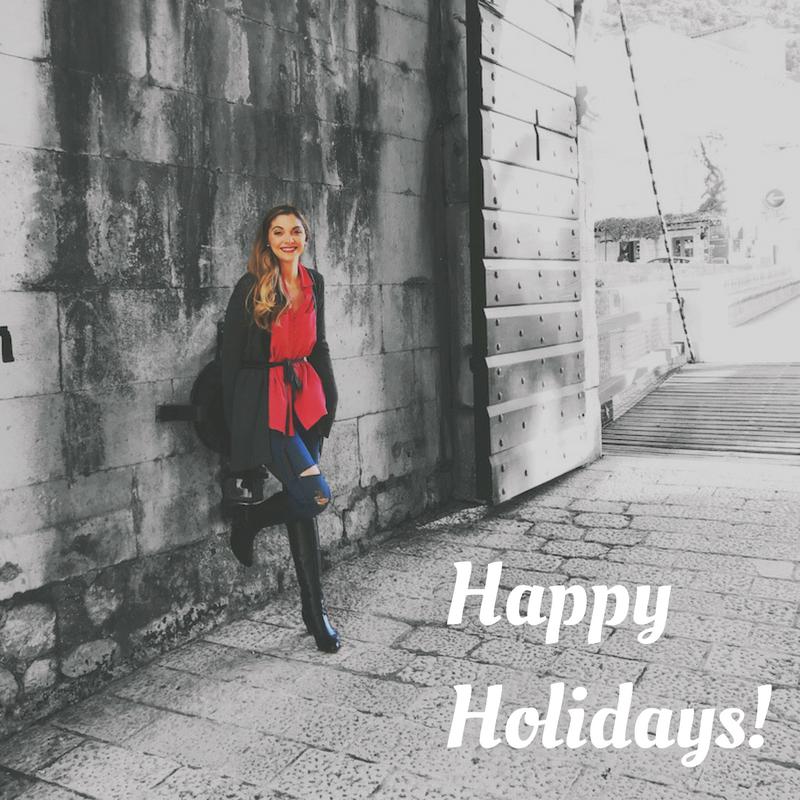 Happy holiday season everyone! I try to keep the shopping part of the holidays to a minimum, but I still love the tradition of gift giving. It spreads cheer and is a fun family tradition. I don't need to tell you guys that the holiday season can get crazy and chaotic if you let it. Shopping, events and more can actually bring you more stress than JOY - which is entirely NOT the point of the holidays. So I wish you peace, joy, love and happiness this holiday season. Grab a few gifts, wrap them up and be done with it. Get the gift part out of the way so you can focus on all the other awesome things about this time of year. 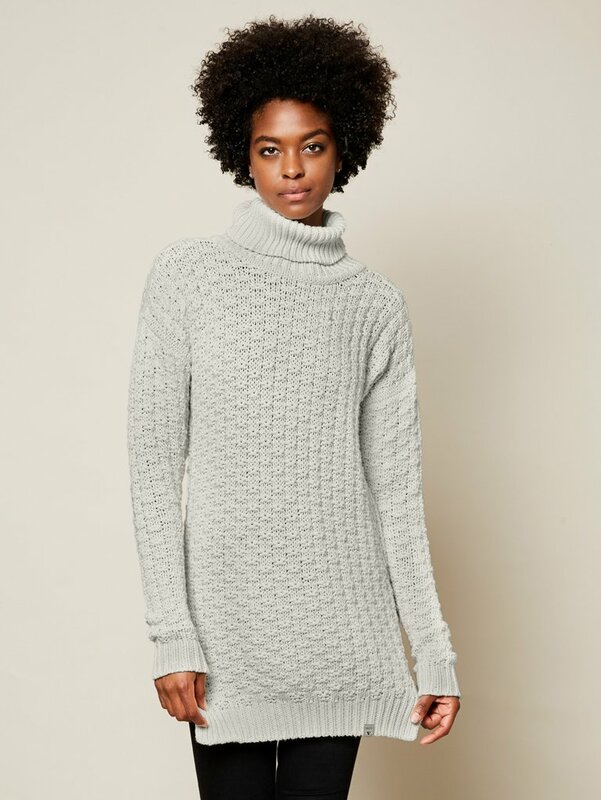 So with that, here are a few of my current fave things that I think would make great holiday gifts for the healthy, eco-conscious, cozy-loving or vegan-y person in your life. Or really, anyone. I mean who doesn't love amazing chocolate, the comfiest tees, cute cruelty-free vegan 'leather' shoes, cookbooks, cute mugs and some fun matcha tea? The only problem with these healthy, happy, life gift round-ups every year.... I find like a ba-zillion things I want to buy myself! Hope you find a few inspiring goodies!.. ps. wearing my Bhava boots in this photo, gift #3..
A simple white tee as a gift? Yes. Oh yes. 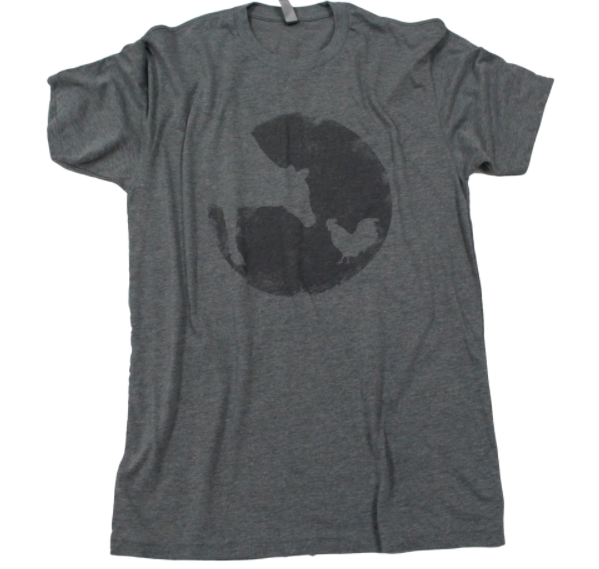 This tee is kinda life-changing if you love comfortable clothes, and doesn't everyone?? This is my "favorite tee" tee. It is white and crazy-comfy and soft and light and easy to wash and dry by hand because the fabric is so thin, yet sturdy. Fave travel tee. Fave work-from-home tee. Fave beach tee. Fave cafe-with-friends tee. Pair it with a pair of ripped jeans for that effortless, casual-comfy-cool look. 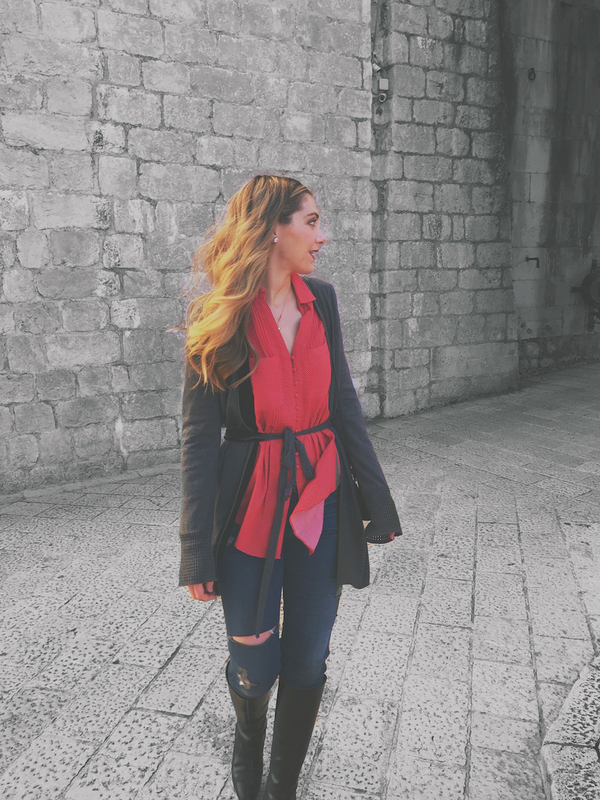 Wearing my tee on vaycay last week in Dubrovnik.. Tip, look for online ordering codes or get 20% off your first order when you sign up for their email list. I was recently on vacation, and the first thing I did the morning after we returned home? I made my go-to Encha Matcha Latte. I had several matchas on vaycay, but nothing compared to Encha at home! If you are looking to experiment with matcha, gift this to yourself! Or gift a set to your fave matcha-curious friend or family member. Encha is a brand I strongly stand behind and I am so proud to have been an active Encha ambassador for the past three years. Tip: You can buy Organic Encha Matcha on Amazon too! 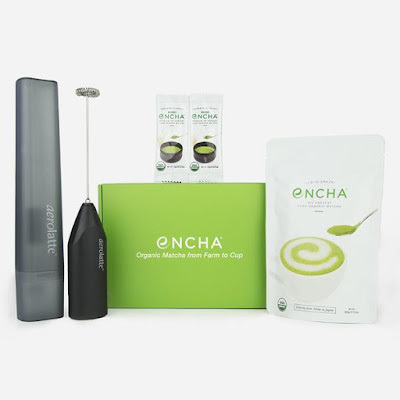 Tip: Go for a gift set that features some of Encha's beautiful accessories like matcha bowls and even tools like a bamboo whisk. 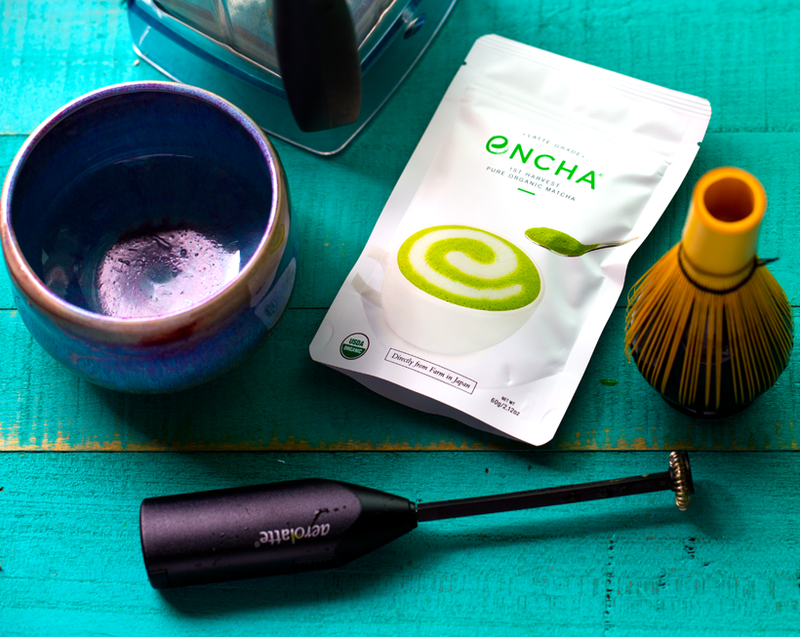 Perfect for lattes: Encha's latte grade matcha. Bonus: All of Encha's matchas are organic and amazing! I wandered into a vegan shop in Barcelona last week and discovered a few new brands of shoes, one of them being Bhava! I splurged and bought the 2-in-1 Editor Boots. I am in love with them! 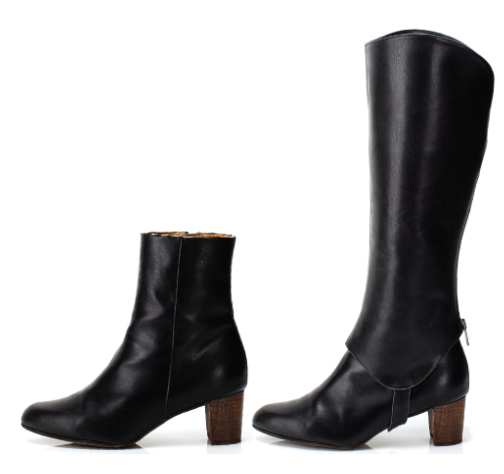 They are super comfy and cute and you can wear them as a tall-ish bootie or a knee-high length. Bhava has several styles that are totally adorable. Check out there many styles of vegan shoes: Bhava Online Store. 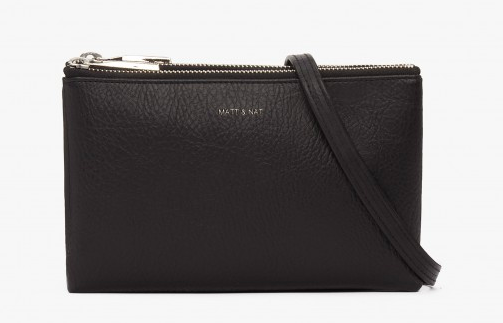 The Drew style purse is small and stylish and the slim strap is super comfy. I forget I am wearing it sometimes! 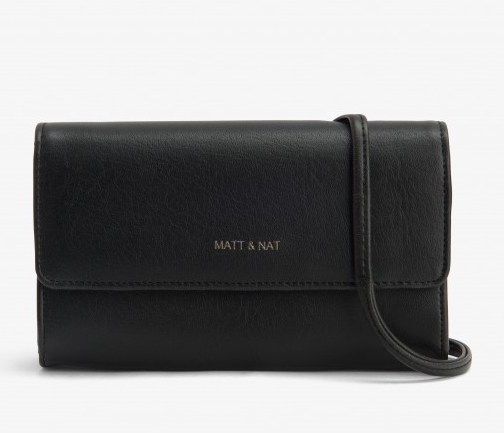 The Drew style fits my iPhone, ID cards, passport, slim sunglasses, a few credit cards and chapstick. A few other skinny things can get crammed on the pockets. For travel, you can add your room key, any business cards of notes you pick up along the way and more. 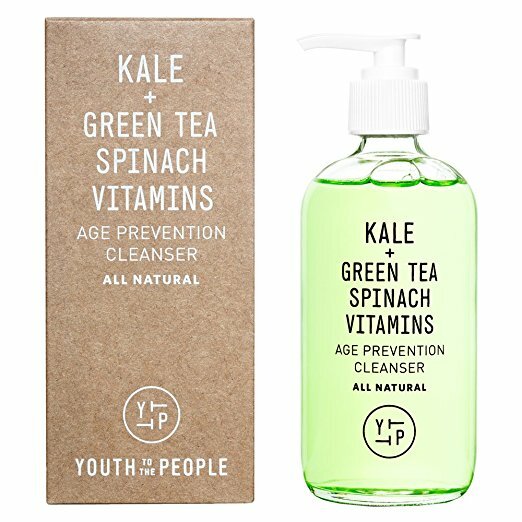 This is my favorite vegan cleanser of right now. And I recently fell in love with the moisturizer too. 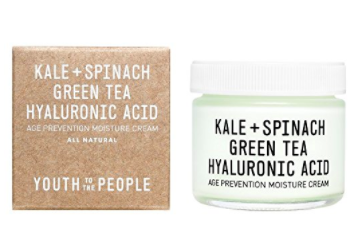 They also have a serum, I have yet to try. I am pretty obsessed with this chocolate brand. The vegan bars are creative, cute and delicious. 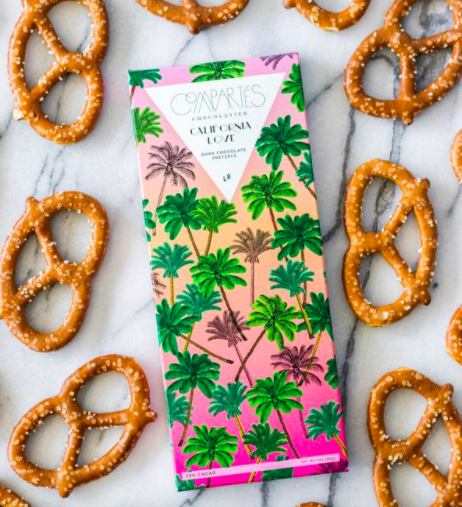 Our faves are the kale bar and also California Love, the basic salted dark chocolate with pretzels. Found these adorable shoes in Barcelona and love the brand! I bough the Basic in black and wore them all over Europe. So comfy and cute. They have a basic white too. If your giftee is a GOT fan, snag them something they might not have though to buy: the music! 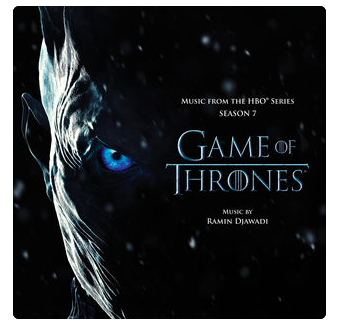 The season 7 soundtrack by the brilliant Ramin Djawadi is a super gift for a mental vacation or setting the mood for work or play. My favorite pieces on this set are Home, Winter is Here, Truth and Dragonstone, among others. My two cookbooks Healthy Happy Vegan Kitchen and 365 Vegan Smoothies both make excellent gifts for the holidays and a happy new year! 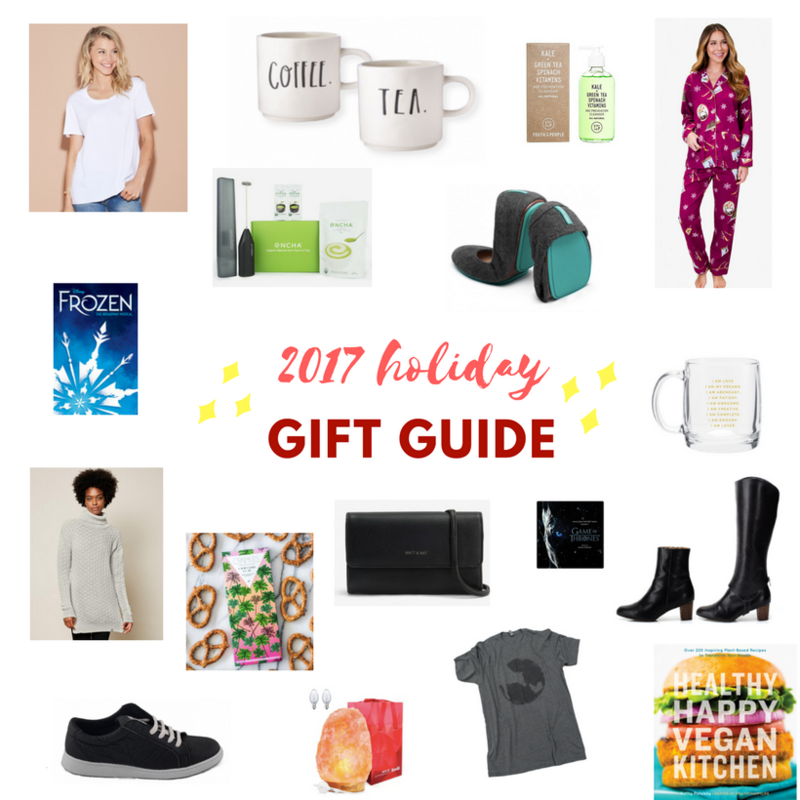 Try more vegan in 2018, or inspire those on your gift list! Another favorite casual wear clothing line of mine: Groceries! I adore them. I have three of their long sleeved tops and a tank too. They are made from 100% organic + recycled ingredients. Anything by Rae Dunn, one of my favorite kitchen goodies deisgners, is a good gift idea. I especially love her mugs. I use mine every day! 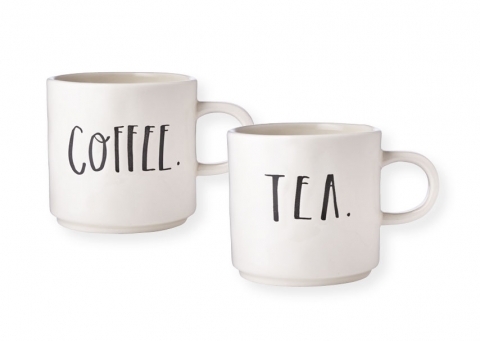 These coffee + tea mugs are a cute gift set. These ski school flannels are super cute for the holidays. I also love their basics like this day dreamer top. I have a few PJ Salvage goodies and they have lasted for years and are still cozy as can be! I have four salt lamps. I love them. Two in our bedroom and two in the living spaces. 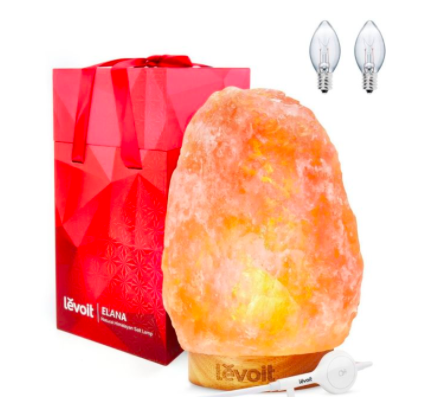 But after buying a few dud brands online, I have to say that I have never been let down by Levoit Salt Lamps. They come in a pretty red box and always seem t be sturdy and well made, which I cannot say for all salt lamps on Amazon! Salt lamps help to purify the air and add a gorgeous red-orange glow that is so relaxing. 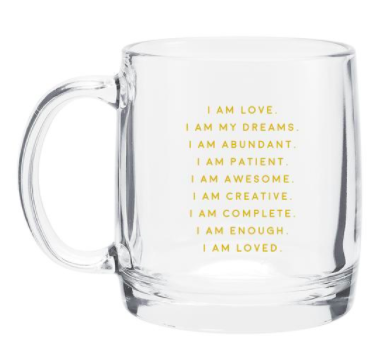 This cute glass mug by my friend Trisha is just what you need to start your day feeling super positive and whole. Would look so pretty with a matcha latte! Build a goody basket filled with smoothie goodies. Some of my faves: Philosophie Superfood Powders, Baobab powder, turmeric, cayenne, VEGA chocolate smoothie, maqui powder, cacao powder, maca. 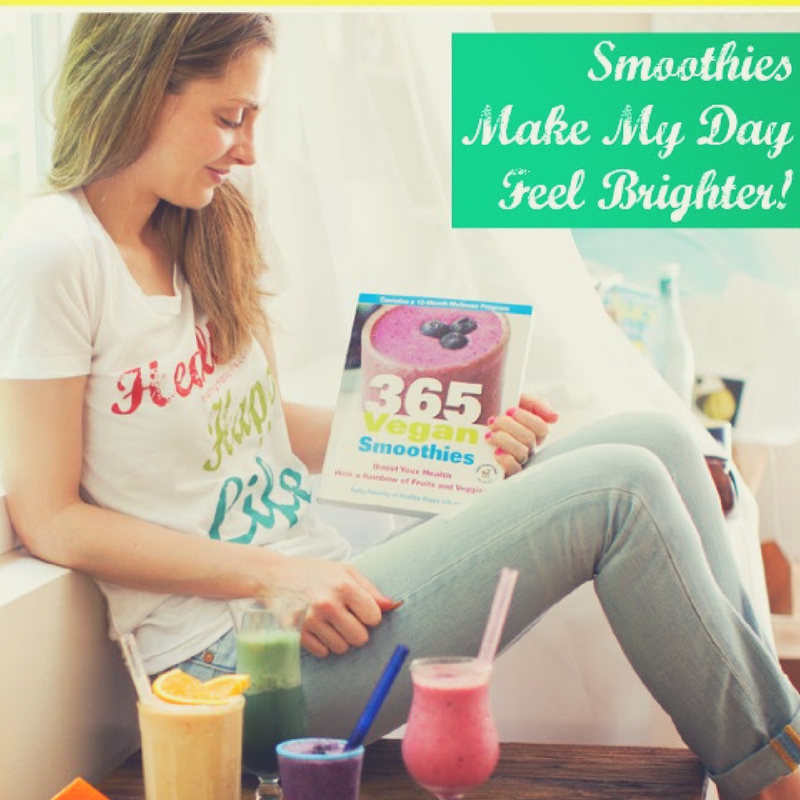 And of course, my book 365 Vegan Smoothies will help your giftee blend to perfection! *found this old smoothietude contest promo.. maybe I should do another "show me your smoothietude" contest for 2018! Loved that! Broadway lover? Headed to NYC? 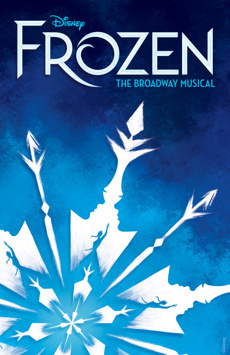 Snag some Frozen on Broadway tickets! I am going this spring and super excited about it. 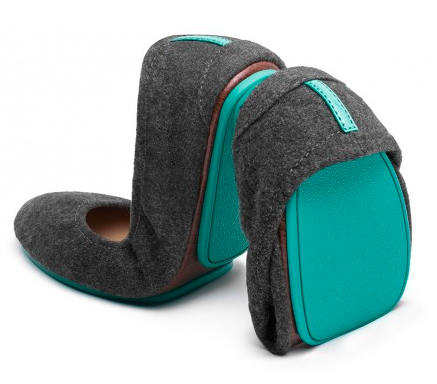 I love my vegan Tieks! My fave pair is the Greystone. Support a great cause in your gift giving and tee wearing! This distressed Farm Sanctuary tee is super cute to share your compassion in your fashion. Bonus #20 for anyone looking for a truly indulgent holiday gift. My cousin Ashley runs this company and sells the most gorgeous curated collection of antique / 'old' jewelry finds. So these are all basically vintage items that have been around since the 60's 50's 40's 30's 20's and beyond! I absolutely love just scrolling through the periods listed on her site and seeing how jewelry trends have evolved. 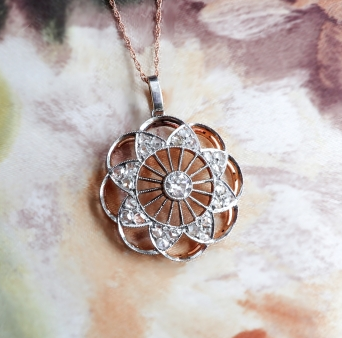 The Victorian jewelry is gorgeous, as is the art deco and Edwardian periods. I do not know much about jewelry, but Ashley has so much cool information about it and her pieces! Even if you just browse at the loveliness, check out her brand! I know she would greatly appreciate the love to a female entrepreneur and artist. A few faves I spotted..
disclosure: This post contains affiliate links. I am an Encha ambassador and have worked with a few of the brands listed, because they are indeed my faves!